Okay Rihanna, we see you. Rihanna is a successful musician, entrepreneur, actress and fashion icon so when it comes to mundane tasks like trying new eyebrow styles, she calls on her lookalike model to fill the role until she finds the perfect choice for Rihanna to embody herself. Celebrity eyebrow artist Damone Roberts (yes it's really a job) has taken care of eyebrows for some of the biggest stars in the game. From Beyonce, Christina Aguilera, Kim Kardashian-West, Jenna Dewan, Tracee Ellis Ross to Nicki Minaj and more. One of his favorite memories though is working with Rihanna, more specifically her stunt double. 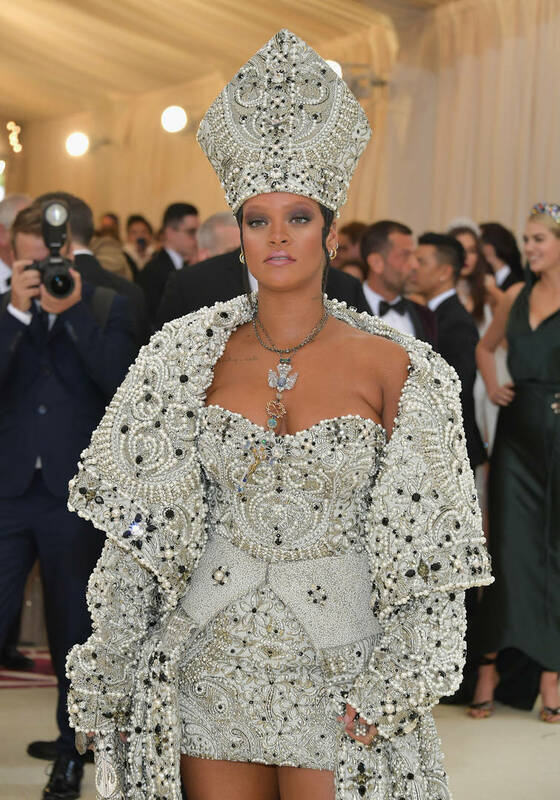 "Rihanna has become one of my favorite people," Damone told Entertainment Tonight, detailing how they first met for the Met Gala when Riri wanted to lighten her eyebrows. "So Rihanna's so fly that she has a lookalike model come by your space and you try out different looks on the eyebrows on the model and you send pictures to Rihanna and she decides whether she wants to do it or not," he explained. "So literally a lookalike model we trialed and tried and everything else until we got them perfect and we sent Rihanna the pictures and we heard nothing and of course, two days before the Met Gala she's like, 'I loved them! You gotta fly to NY and take care of me!' and do them and whatnot, and of course Rihanna shut down the show! It was really, really special."